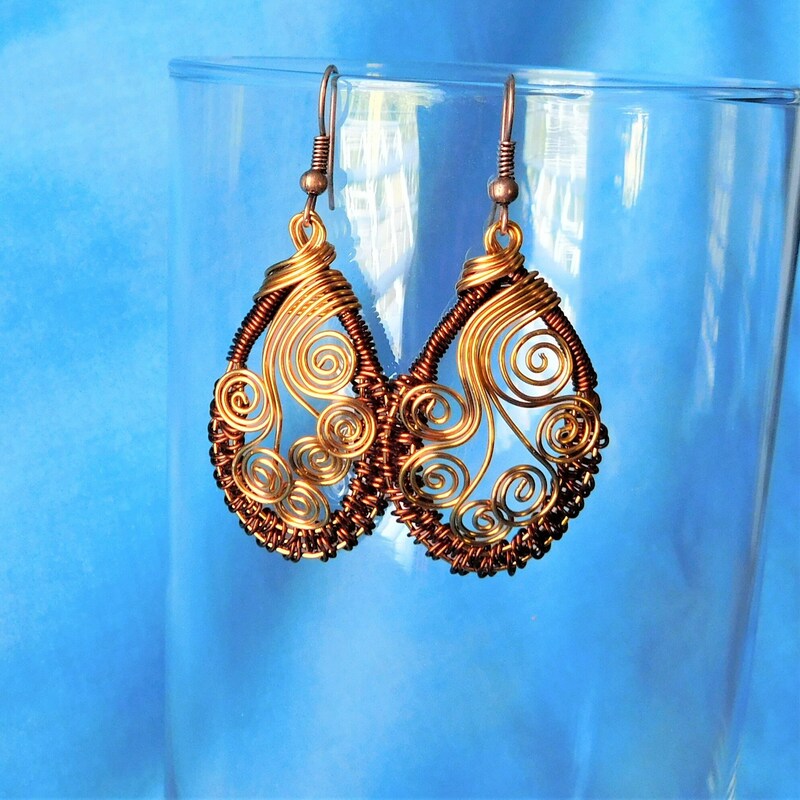 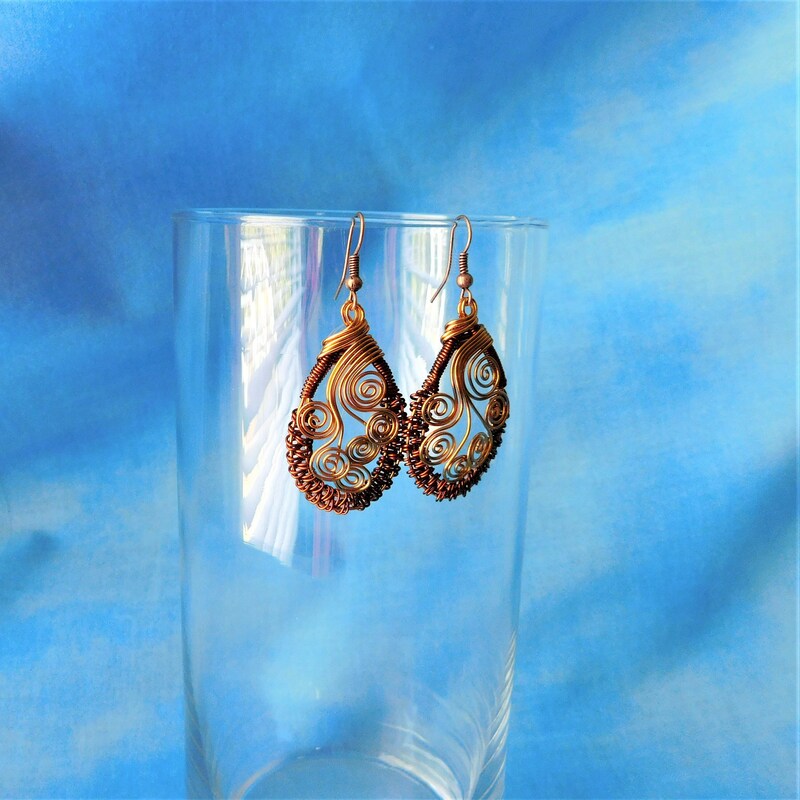 Three shades of copper wire are hand woven and sculpted to create these unique earrings. 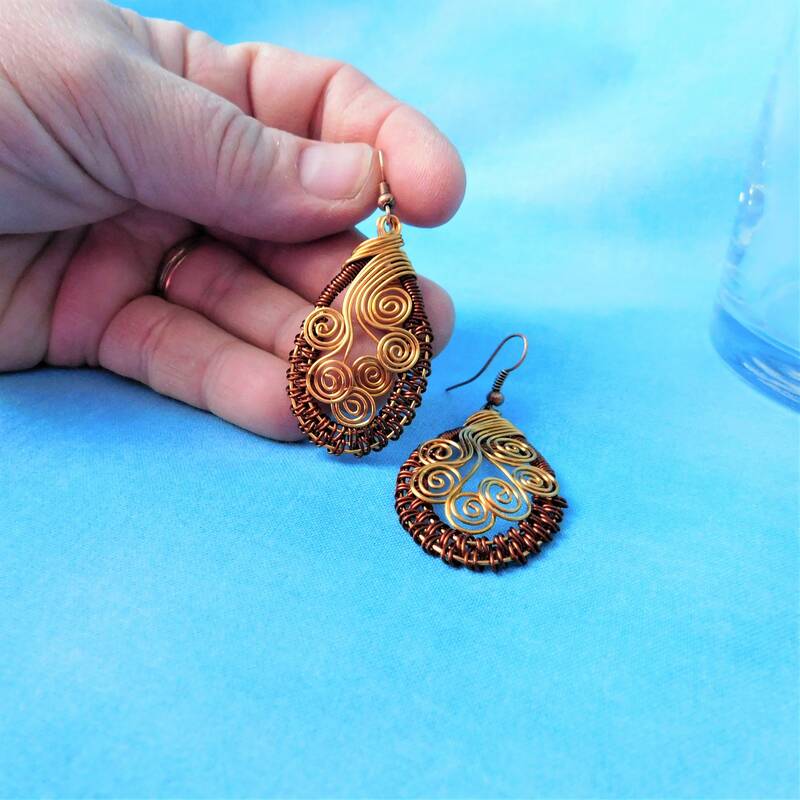 The weaving for each earring is done without a loom, and the sculpting is done with only four strands of wire, pliers and patience. 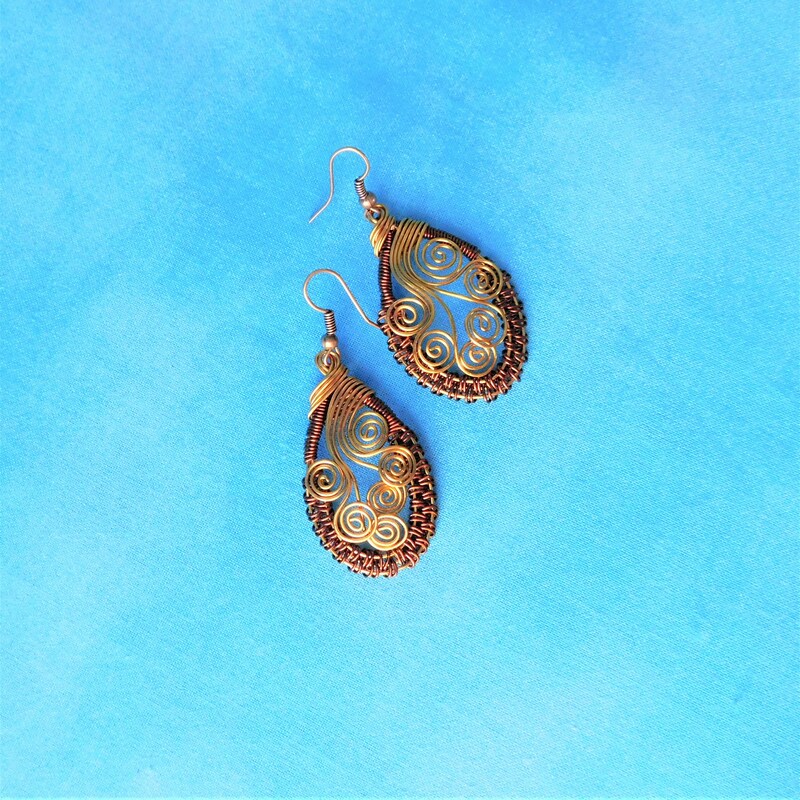 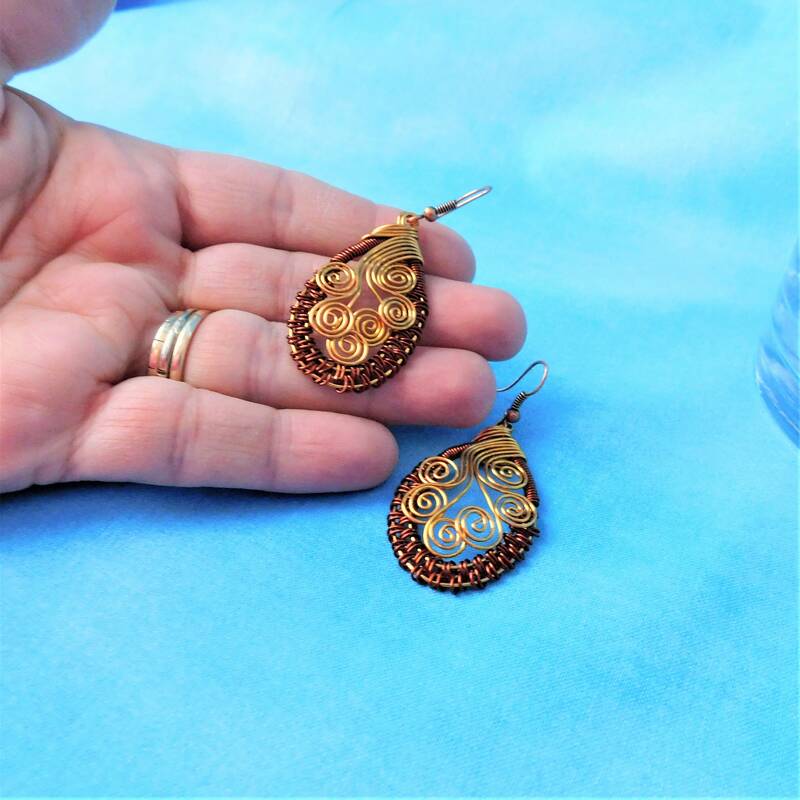 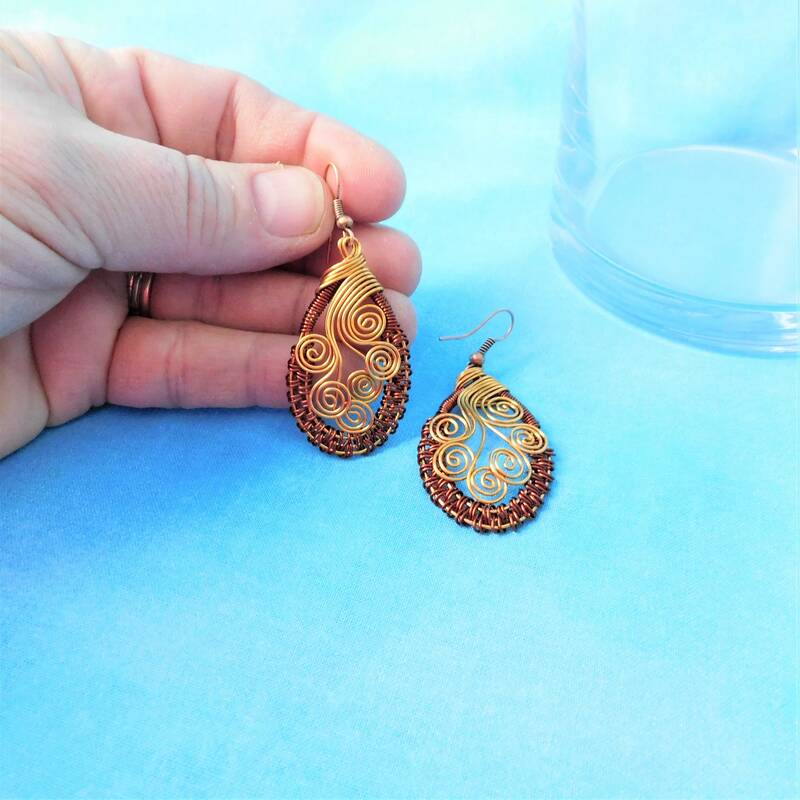 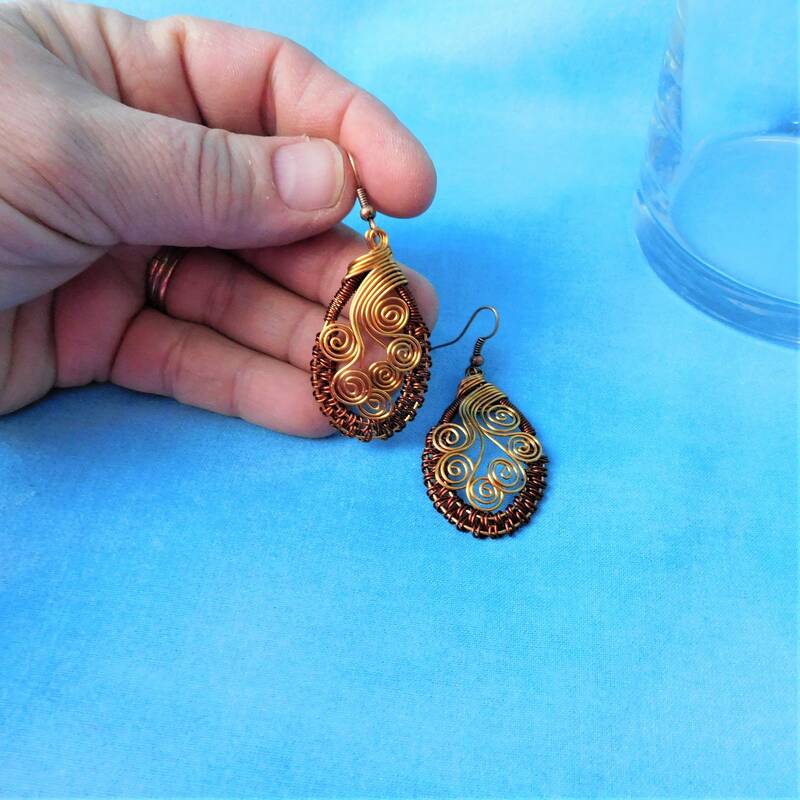 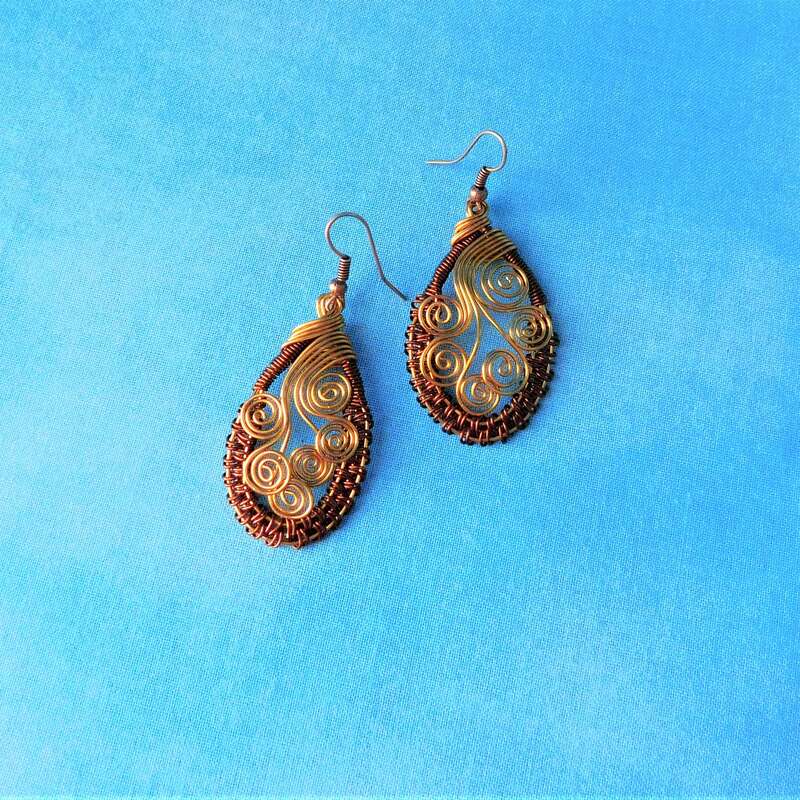 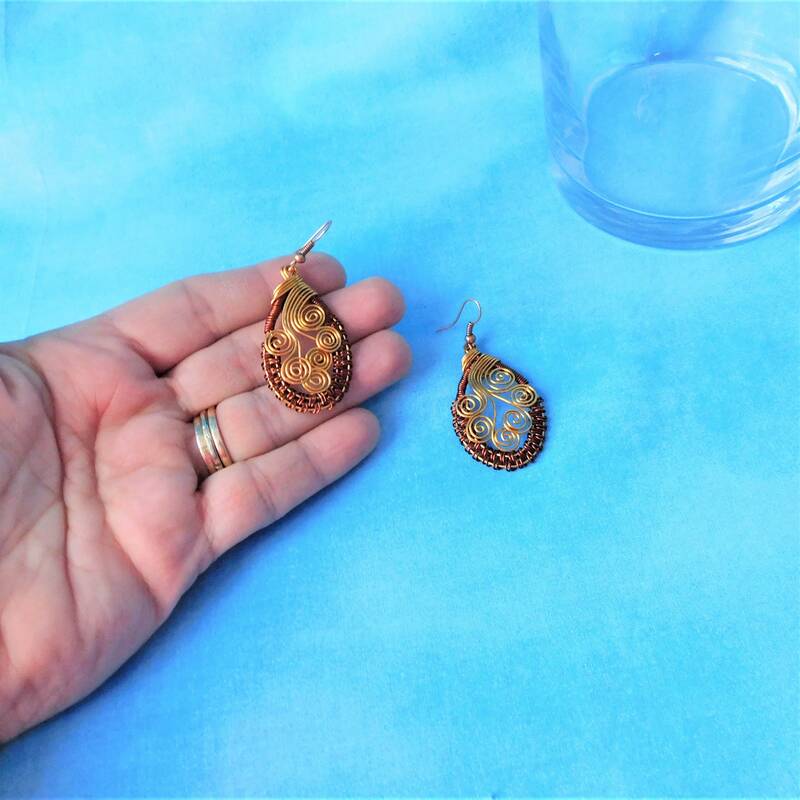 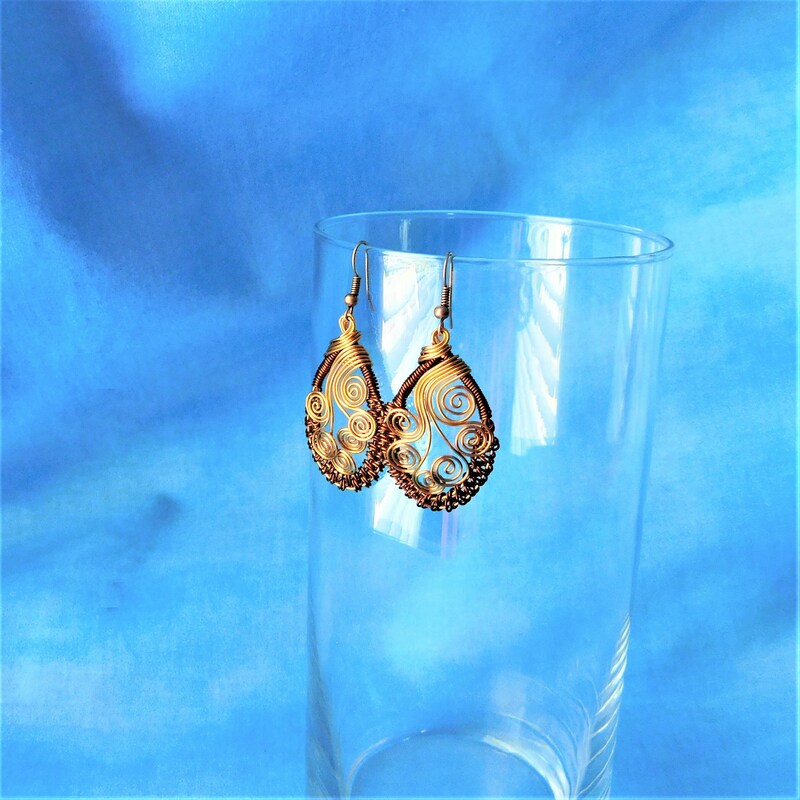 They measure 1 1/2 inch by 1 inch and hang from nickel-free antique copper tone ear wires.